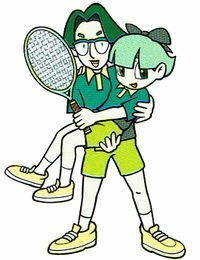 Sammi is a character in the Game Boy Color version of Mario Tennis. She is in the Island Open. In singles, the player faces her in round 1. In doubles, she is partners with Sean. The player faces them in Round 1. Sammi is a technique player. This page was last edited on March 16, 2018, at 09:20.